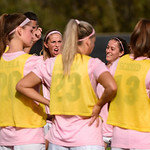 The PAC12 Women's Soccer game between the University of Colorado Buffaloes (CU) and the Arizona State Sun Devils (AS) at Prentup Field in Boulder, Colorado. Final score of the game was the CU Buffaloes - 3 and Arizona State Sun Devils - 0. 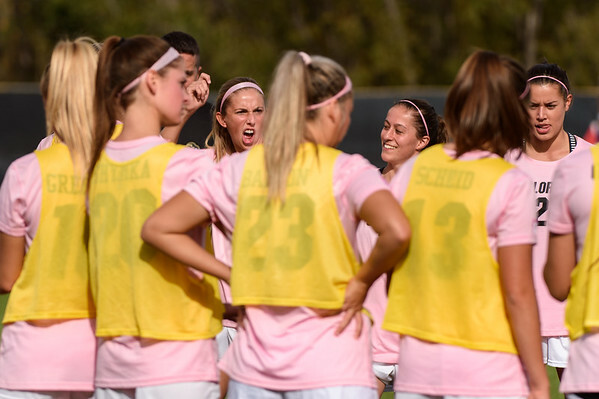 October 19, 2017, Boulder, Colorado, USA; CU Buffs getting pumped up before the start of the PAC12 Women's Soccer game between the University of Colorado Buffaloes (CU) and the Arizona State Sun Devils (AS) at Prentup Field in Boulder, Colorado. Final score of the game was the CU Buffaloes - 3 and Arizona State Sun Devils - 0.